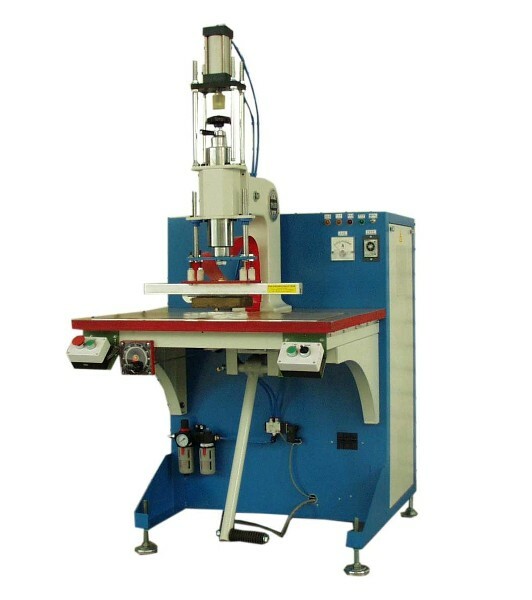 High frequency plastic welding machine is use of high-frequency electric field to joint the plastic materials. The electric field enhances the polar thermoplastic to vibrate and generate friction. Based on their dipole moments, these plastic molecules can transform some of the vibration into heat to heat up the plastic material. The measure of the extent of these interactions in the Electric field, known as dissipation factor, is how we can tell if the material is high-frequency-respondent. The higher index result in an easy-to-high-frequency processing. The method of high frequency welding with PVC material is found in World War II, The new waterproof PVC material is used to protect soldiers under the horrible weather condition. A soldier found the PVC placed near or on top of the tank antenna was welded together. This was the high frequency PVC welding first found. Obviously, this high frequency welding system can be applied on various places, the first high frequency industrial products is raincoat. Now, there are thousands of high-frequency applications processed products. Many plastic materials can be processed with high frequency, in general, in tablets or soft plastic sheeting is the most commonly seen.